Ann Arbor Fiber Cement Siding | Ann Arbor Cement Siding | Ann Arbor Cement Board Siding | Ann Arbor Cement Lap Siding | Ann Arbor Cement Panel SidingMcGlinch & Sons CO. Serving Southeast Michigan since 1917, McGlinch & Sons is an elite preferred James Hardie fiber cement siding remodeler. Our cement lap siding and cement panel siding provides the lowest maintenance and highest resistance to the harsh and unpredictable weather conditions found in Michigan. 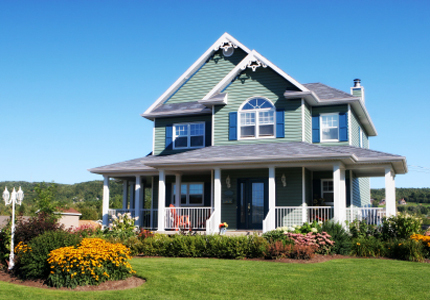 The well-known reputation of all James Hardie cement siding will add beauty, durability, and value to your home. For all your fiber cement siding needs McGlinch & Sons is the first company to call! We are certified remodelers providing superb installation and service in Ann Arbor and surrounding communities. Home to the University of Michigan, the city of Ann Arbor is a bustling university town centered on high technology, with several companies drawn to the area by the university’s research and development infrastructure. Ann Arbor is the county seat of Washtenaw County with a recorded population of 113,934, making it the sixth largest city in Michigan. Proud to serve the residents of Ann Arbor with all their cement board siding and cement panel siding options are the certified remodelers of McGlinch & Sons. We offer James Hardie fiber cement siding products for any size cement siding project you can think of. Why install fiber cement siding? When you live in Michigan, you can count on a couple of things – inclement weather and James Hardie cement siding! These long-lasting, durable cement board siding products will not only add beauty to your home but will stand the test of time and harsh weather. The cement lap siding and cement panel siding products from McGlinch & Sons will protect your home and are among the most affordable, low maintenance cement siding options on the market. Call us for an estimate or for more information on fiber cement siding. In the Ann Arbor area, call us at (248) 987-6300 today!